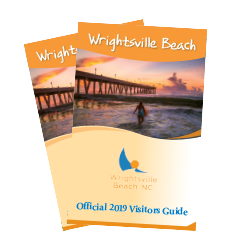 Wrightsville Beach is a hub for sporting events, drawing people to the island from all over the world. Experience Marathon Madness at the beach with a top race qualifier for the Boston Marathon or participate in an IRONMAN event with beach-to-battleship scenery along the way. Riders can join in on a fat tire bike race along the ocean’s edge and fishermen get competitive in tournaments during seasonal fishing events. Take a vacation and test your skills in one of many sporting events held at Wrightsville Beach.